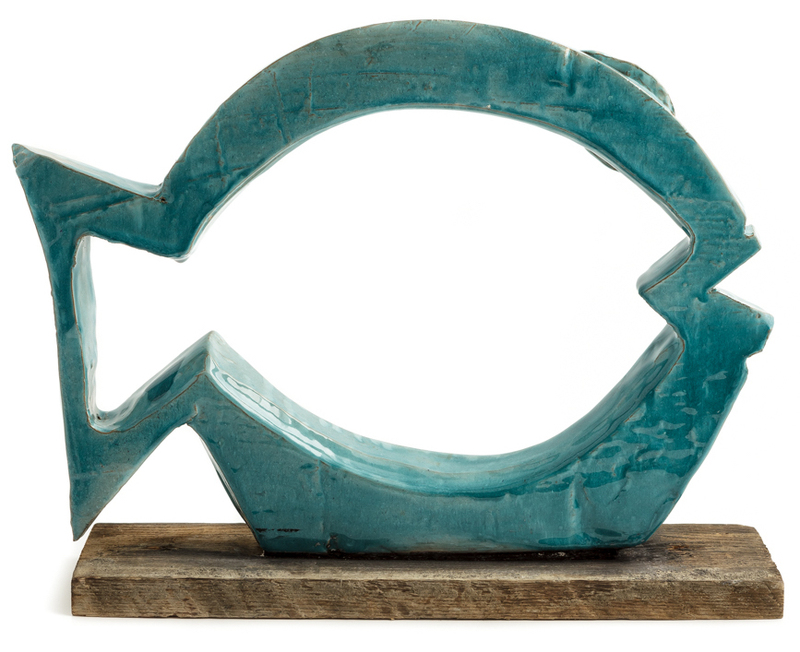 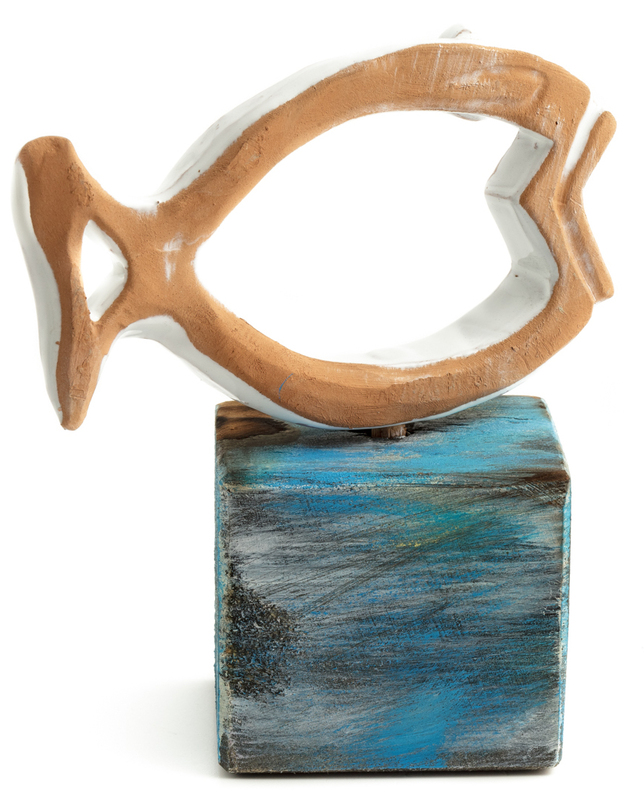 The stylised silhouette of a fish is mounted on a wooden base. 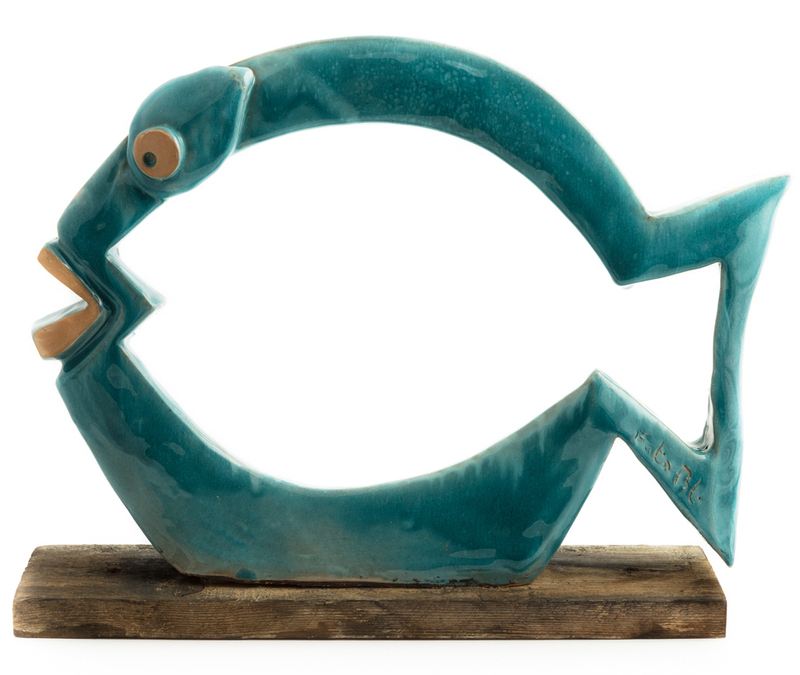 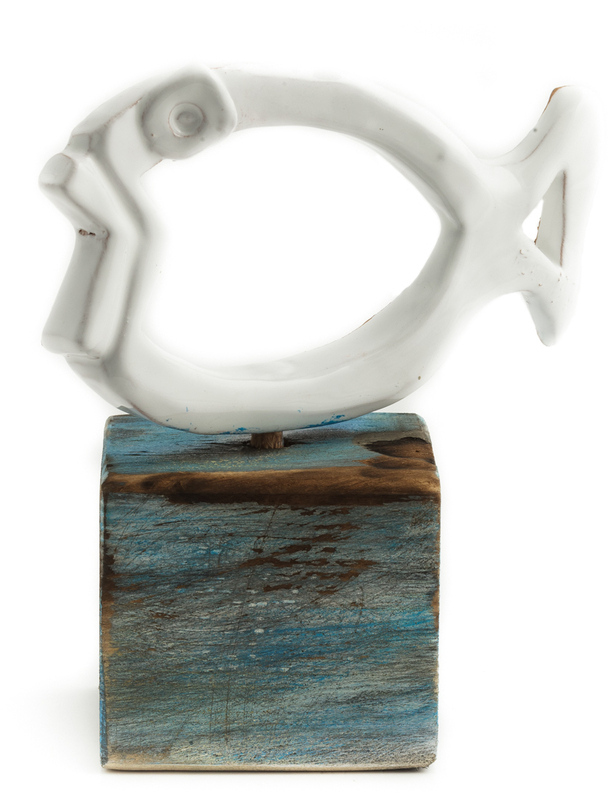 This particular decorative object, crafted following the plate processing technique and then glazed, is part of the Pesci collection, consisting of several stylised sea creatures. 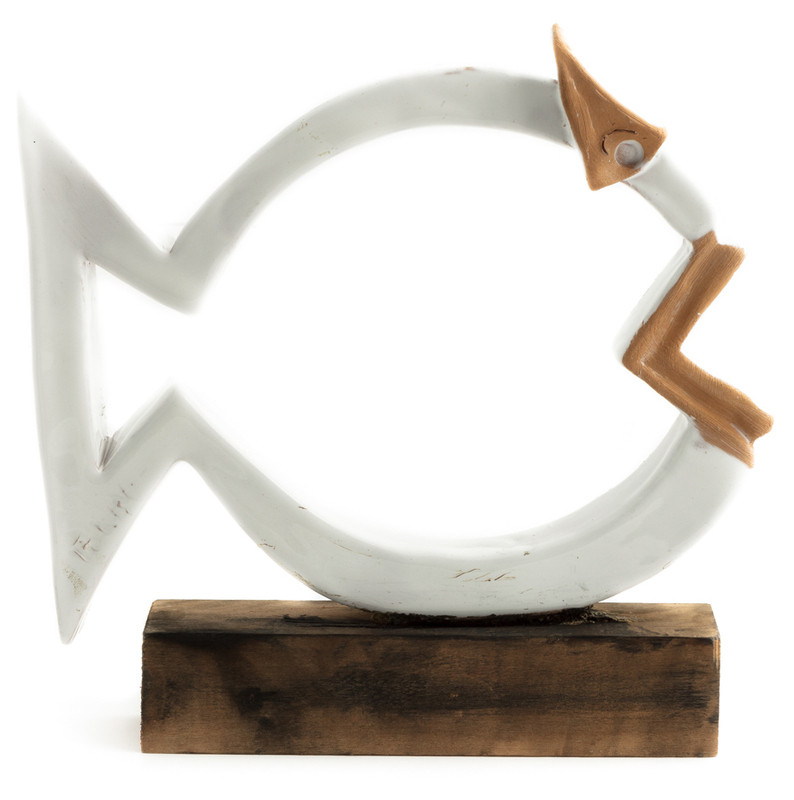 It is available in different colours and sizes.